The number of international students in Canada is over 450,000, a figure that is constantly growing. A Study Permit is a document issued by Immigration, Refugees and Citizenship Canada (IRCC) that allows a foreign national to study in Canada for a limited time. 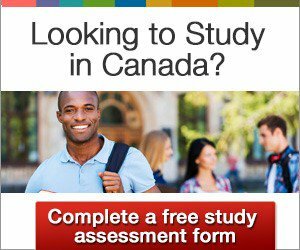 To find out if you are eligible for a Canadian Study Permit, fill out a free assessment form. Most international students require a Study Permit to study in Canada. To learn more about studying in Canada without a study permit, click here. Satisfy the immigration officer that he or she will leave Canada at the end of the stay authorized by the study permit. Any further documents required by specific visa offices. An applicant for a Canadian study permit may include his or her family members on the application, so that they may accompany the applicant to Canada. An accompanying spouse may be able to obtain an open work permit, and minor children may be able to study at Canadian elementary and secondary schools. To learn more, click here. Once a prospective student meets the eligibility criteria and has the correct documents, he or she may apply for a study permit. This can be done online or by paper. A paper application must be submitted to a visa processing office outside of Canada. It is important to apply for a study permit immediately upon receiving the Letter of Acceptance. Study permit processing times vary, and applicants may see delays during busy times — particularly during the summer months. To view an estimate of the study permit processing times per country, click here. In Quebec, the financial requirements for prospective students are different. In addition to tuition fees, a prospective international student is required to show that he or she has the following funds, dependent on his or her situation. Proof of a scholarship or funding paid from within Canada. Family or friends of the applicant may submit letters confirming that they will support the applicant during his or her studies. A letter of introduction confirming the approval. This letter is not the study permit. The prospective student will need to present the Letter of Introduction to the immigration official when arriving in Canada. The immigration official may then issue the study permit to the student. An Electronic Travel Authorization (eTA) if he or she is from a country whose citizens need an eTA. In such cases, the eTA is indicated on the Letter of Introduction. As the eTA is linked to the applicant's passport, the applicant must travel with the passport used in the study permit application. A Temporary Resident Visa (TRV), if he or she is from a country whose citizens need a TRV. The TRV will be in the passport. The holder must enter Canada before the expiry date on the TRV. The TRV will also indicate if the holder can enter Canada only once (a single-entry visa) or multiple times (a multiple-entry visa). Since 2014, all applicants are automatically considered for multiple-entry TRVs. An individual submitting an application for a study permit does not have to submit a separate application for a TRV. If the application is approved, the TRV will be issued along with the Letter of Introduction. After obtaining a study permit, students may need to renew or change the study permit during the course of their studies in Canada. To learn more about renewing, extending, or changing the conditions of a study permit, click here. If a student at a post-secondary institution wishes to change institution, study program, or level of study he or she does not need to apply for a new study permit. However, he or she is required to update IRCC upon changing institutions. For example, a student may move from Bachelor level to Master's level, or from Geography to Philosophy, or from a college to a university, without applying for a new study permit. He or she does not need to apply for a change to the condition of the study permit. A student may study in Canada as long as the study permit is valid. However, an international student moving from elementary school to high school, or from high school to a post-secondary institution, is required to apply for a change in the conditions of the study permit. The application must be submitted to the IRCC Case Processing Centre in Vegreville, Alberta. Study permits expire 90 days after graduation, regardless of the date printed on the study permit itself. It is extremely important that international graduates update their status with IRCC within 90 days of graduation, or they risk losing status in Canada. Many graduates are eligible to apply for a post-graduation work permit (PGWP). This permits the holder to work for any employer anywhere in Canada for up to three years after graduation. Work experience gained on a PGWP may help facilitate an application for Canadian Permanent Residency, especially through programs such as the Canadian Experience Class and certain Provincial Nominee Programs (PNPs). To find out if you are eligible for a study permit, please fill out a free online assessment form today.